The manufacturing of a mattress has for some time now been heavily reliant on adhesive technology. Historically solvented adhesives were used but in more recent years hot melts have been the adhesive of choice for most manufacturers. This ensures a better working environment and gives greater flexibility in production methods while ensuring a superior product is produced. WE OFFER A WIDE RANGE OF ADHESIVES FOR BONDING THE VARIOUS SUBSTRATES USED IN THE MANUFACTURING OF A MODERN MATTRESS. 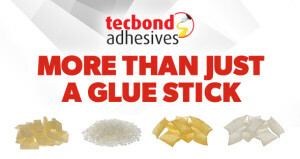 Tecbond 420/43 Hot melt semi-pressure sensitive adhesive, this adhesive offers high initial hot tack and a soft glue line when set, ideal for micro fleece operation on a conventional spring mattress. Open time up to 3 minutes. Tecbond 425/43 Hot-melt semi-pressure sensitive adhesive, ideal for bonding foam to foam, foam to wood and similar/dissimilar materials. Used and proven by major manufacturers in the mattress industry for foam to foam fabrication and bonding of micro fleece to foam. This grade has a dead film after a long open time and exhibits excellent tack. Open time up to 3 minutes. Tecbond 430/43 Hot-melt with long open time, primarily it is used for the bonding of mattresses and therefore adhesion is very good to material such as polyether foam, latex foam, wooden material, non-woven, synthetic fibre material, ”fillers” and metal. This grade has a long open time. Open time up to 6 minutes.